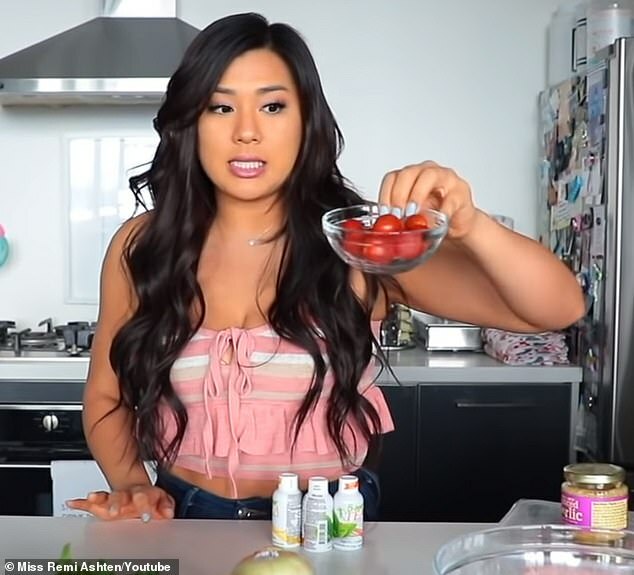 Remi is certainly not the first person to promote the benefits of tomatoes as far as supporting weight loss; according to Livestrong, nutritionist Dr. Ann Kulze refers to the tomato as a ‘superstar’ as far as helping people to slim down. The website adds that tomatoes make for a great low-calorie snack, and can be considered an ideal ‘high-volume’ food that helps to fill you up, without adding too many calories, fats or sugars to your daily intake. For Remi, consuming high quantities of tomatoes certainly isn’t a long-term plan – but she explained that her nutritionist suggested the diet as a way to ‘crack down’ on her weight loss and see what results might follow. She noted that the tomato diet was not ‘sustainable’ for long periods of time, but that it was instead intended for a week to see how the body reacts to the food. 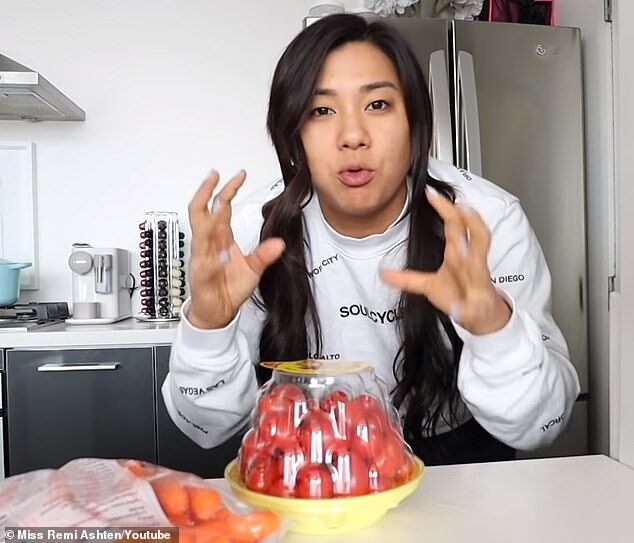 ‘Honestly in the beginning of this, eating plain cherry tomatoes, I wasn’t that into it —but now I eat them like candy,’ Remi said. She’ll eat a cup of the cherry tomatoes during the snack break. ‘Basically I can have as much vegetables as I want throughout the day,’ Remi said about her diet. 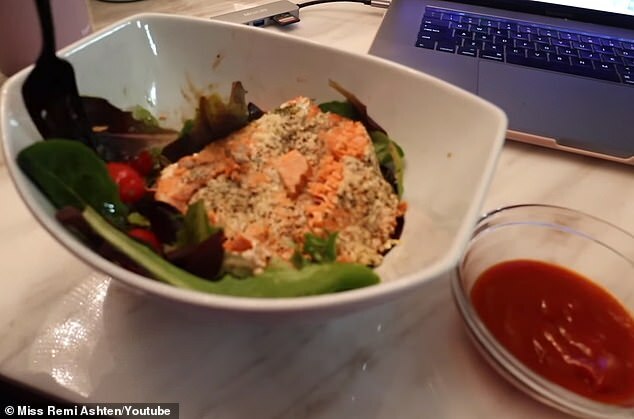 Dinner then involved salmon with a salad on the side that included tomatoes to fulfill Remi’s tomato diet. ‘I feel leaner,’ she said in the video.